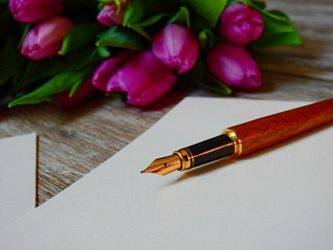 As I sit here, contemplating seder menus and when exactly I’m going to turn over the kitchen, I wanted to take some time to write you this letter. There are so many thoughts that swirl around in my head as I swirl around in my life, so often torn between what seems like a never-ending list of responsibilities—both inside and outside our home. These responsibilities have left me far less time—and headspace—to really connect with each of you than I’d like. In these quiet, wee hours of the night, as you lay sleeping, and I sit here trying to plan our lives for the next few weeks, it seems as good a time as any to jot down some of the many things I want to tell you. When tomorrow morning comes, it will be back to the regularly scheduled, harried, hurried and hectic programming of our lives, in which full sentences, let alone conversations, are a scarcity. To you, my wise child, I want to say this: I am so very proud of you. You are bright, capable, motivated, disciplined, inquisitive, and sensitive. You excel in practically everything, and seem to do so almost effortlessly. But please don’t think I haven’t noticed your effort. And your anxiety. I see how keen you are to please everyone and what it does to you when you think you haven’t. While I sincerely appreciate how easy you are, how you help out around the house without needing to be asked twice, how you do your homework of your own accord, how you eat healthily, set your own bedtime, and keep your room clean, I worry about the pressure you put on yourself to do all these things. Don’t get me wrong, I want you to do them, but I also want you to leave yourself some space to not do them sometimes too. I want you to know that no one expects you to be perfect—certainly not someone as imperfect as me. Live a little. I mean, don’t go totally crazy and ignore your school work and eat crumby food in your room (seriously, I already cleaned it for Pesach and will cry if you do) and only do your laundry once a month. Just cut yourself some slack and allow yourself to eat a cookie (only in the kitchen!) without judging yourself as bad or saying that you “cheated”. Your successes are astounding, but your struggles are equally so. Don’t fear them. Embrace them. Do you know how many times my Pesach brownies totally flopped before I got them to be just the right chocolatey, gooey goodness that you love? At least a hundred. But remember how we ate them anyway, because they might not have been the brownies we were looking for, but they were still chocolate? Failure can sometimes be delicious, if you know who to share it with and how to learn from it. I am always here for you to share with—successes and struggles alike—and I will love you every bit as much, no matter which one you share. Sweet child, continue to learn, to grow, to thrive as you have, but please don’t do it just for me. Do it for you. Oh, my ‘wicked’ child, what can I say? Let me start by saying that I love you. Deeply. I know that your teachers and principals only see one side of you, but I don’t. I see the good you have inside you, the good you shield and keep hidden, the good that is buried under layers of hurt. I tried hard to protect you from everything, but so often you just pushed me away and wouldn’t allow for it. I know the system is judgmental, I know kids can be cruel, I know you suffered, and I am sorry. But I also know you are not done. You are not your hurt. You are not what anyone else thinks you are. You are exactly who you allow yourself to be. I know you’re angry with me that I didn’t do enough for you. Perhaps you’re right, and I’m sorry. Deeply. I also know you’re angry with G-d. I know you think He’s unfair, if you even think He’s there. I know that the idea of a G-d who is all-loving and all-kind, but allows for His children to be hurt, is so bothersome to you that you’d rather believe He does not exist. Your pain is real, but it does not negate G-d or His love for you. The poor behavior of those who profess to believe in the Torah, the disregard they’ve had for you, and the degrading way in which they’ve treated you doesn’t mean that’s what the Torah asked of them. In fact, it’s quite the opposite, and it shouldn’t reflect badly on Hashem, but I can understand how you might not be able to see that too clearly through your tears. I can understand your anger, your deep disappointment in the people who have failed you in so many ways, but I beg you to consider the following: what Jews think and Jewish thought are not necessarily the same thing. You are right that hypocrisy is unfortunately a part of the Jewish world, as it is in every other area, but that doesn’t mean that the entire system is corrupt. The best way to fight it is to work harder to live up to and spread the ideals, rather than to write them off. I hope this is something you will come to in time. Until then—and even if “then” never comes—my precious child, know that I stand by you, whether you want me there or not. I will never budge. Sweet, sweet, simple child—you are a breath of fresh air. Your wide-eyed innocence, the way everything is wondrous and exciting to you reminds me that everything is, in fact, wondrous and exciting (though the Pesach cleaning is losing some of its luster right about now). You find a way to be happy with even the smallest things in life; a toy from the Dollar Store, a quick cup of hot chocolate on the way to the dentist, the grocery store stickers the cashier gives you when we’re checking out. I see how your face lights up when you see a puppy or your favorite song on the CD comes on when the car stereo is set on random. You have given me an entirely new appreciation for life, because when I see it through your eyes, I see only the good—the same way you do. The world can be a difficult place. If we spend too much time focusing on the inevitable heartache that comes our way, we can forget about all the times our hearts feel so full we think they might just burst. There is cynicism out there, and your positivity is hard for some people to take, but don’t ever stop! I know that not every moment of your life is rainbows and lollipops. I have seen your face fall when someone has made fun of your little Dollar Store toy. I have heard you crying in your room because some kids left you out of something since you’re not as sophisticated as they are. But I have also seen you forgive—with an open heart—all of the people who have offended you, because life is too precious to waste on being offended. I have seen you go out of your way to bring a smile to the face of someone who made you cry, because all you know how to do is love. You have taught me so much about kindness, compassion, friendship, and caring. You have shown me how much better life can be when we hold on to the good and let go of the bad, even though it is so often easier to do the opposite. You have demonstrated the effects of unconditional love and the contagiousness of happiness. I hope you keep your wonder in the face of cynicism, your love in the face of hate, your faith in the face of doubt, and your happiness in the face of sadness. I am so grateful to you for brightening up my world each and every day. And finally, you. You, who have never asked anything of me. You, who came along last and had the least of me left. You, who don’t know what you’re missing, what there even is to ask for. You, my darling, to whom I will never be able to apologize enough. You don’t know any differently than a busy, buzzing house and a freaked out, frazzled mother. You don’t know any differently than vying for attention and having to take care of yourself—perhaps more than you should. And maybe you will never really know exactly how much you are loved, how much you are wanted, and how truly special you are to me, but even though you never asked, I will tell you. I will tell you that Hashem answered my tear-streaked prayers when He sent you to me. I will tell you that you astound me with how wise beyond your years you are, that you make me laugh with your witty sense of humor, and that you melt my heart with your smile. I will tell you that you may be last, but you are certainly not least. I know I forget things all the time, like where my keys are or to sign your trip permission forms, but I remember other things, like your favorite food, your 3 best friends’ names, what you want to be when you grow up, and how your little hand feels when I hold it in mine as we walk to shul together. You don’t ask much of me, my darling child, but I have this to ask of you: please don’t ever doubt that you are the piece that completes this family. You may feel like you are on your own sometimes, but know that you never, ever are. I am here, even if I’m doing a million other things at the same time, and I will drop them all whenever you need me. Oh my. It’s much later than I thought it would be. I didn’t realize how much I really had to say to you. You’ll be waking up soon and another busy day will begin, but we’ll take some time out of it for this letter. I hope you will each take my words to heart because that’s where they came from—my heart. I love you all, each in your own way and for your own reasons. I’m looking forward to another Pesach together, making matzah crumbs and memories. was born and raised in Toronto and was a founding member of the BAYT Youth when she moved to Thornhill at the age of 4. Rina has led four groups of women to Israel with the JWRP over the past 3 years, introducing them to Judaism and the land of Israel in a whole new light. After receiving an Honours BA in English Literature from York University and having 4 children, Rina returned to school and gained a certificate in makeup artistry. In addition to being director of the NCSY Jewish Family Experience, she runs her own makeup business, Eizeh Yofi, doing makeup for simchas and events. Rina lives with her husband, 5 children, and way too much laundry in Thornhill.